Lytton Park - Royal LePage Real Estate Services Ltd. The Metropolitan Company recognized the impact on land values that their railway service would bring to this district. Thus in 1888, the Railway purchased the two hundred acre Beatty farm, near their station at Yonge and Glengrove. In 1888, the former Beatty farm became the "Glen Grove Park' subdivision and the residential development of Lytton Park was underway. Lytton Park's major period of growth began in 1912, when it became part of the City of Toronto. 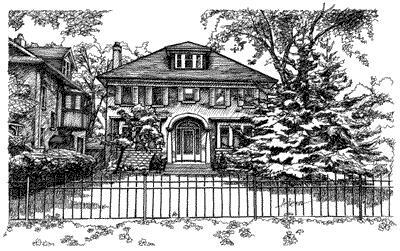 It was during the next fifteen years that most of Lytton Park's houses, schools, churches and parks were built.